My name is Jared. 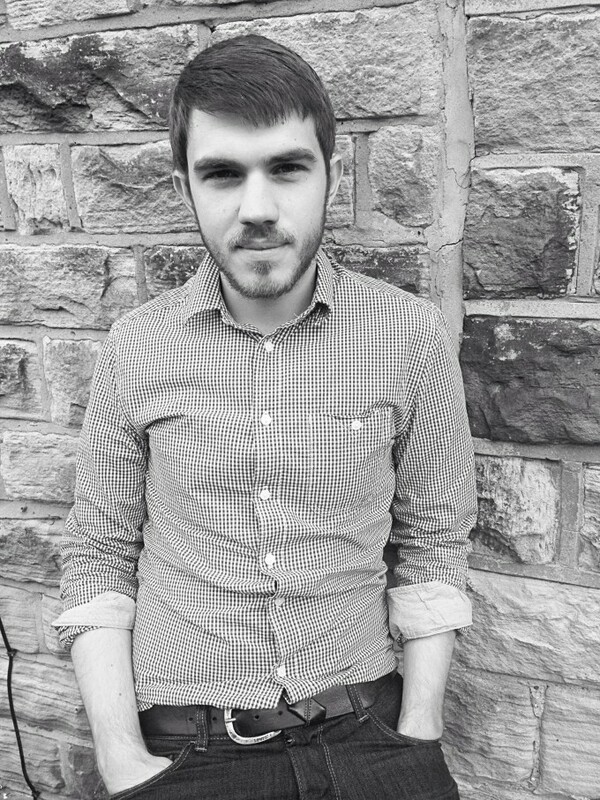 I was born in Essex and now live in Sheffield. I write poems and novels. I also spend too much time doing things that aren’t writing. 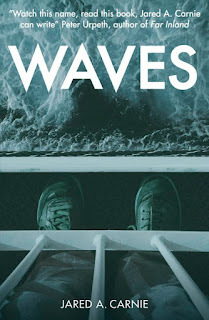 Congratulations on the publication of your debut novel, Waves, last September. That must have been a proud moment for you? I still don’t think it’s really settled in. My girlfriend always tells me off because when people ask what I do I never say ‘I’m a writer’. I don’t know if I ever will. There’s something about it. I’ve probably met too many unpleasant, unaccomplished people who declare ‘I’m a writer’ to anyone and everyone they meet, so the idea of introducing yourself in that way is kind of tainted for me. As for getting published, it’s a really surreal experience. I’d been working on Waves a long time, a lot of editing went into that thing - probably a deceptively large amount given how simple it seems to read. So overall, getting published becomes this weird, stretched-out feeling of nearly-celebration. After all that writing, there’s the first moment where the novel is provisionally accepted. I remember reading that email in my office at work. It was great. I think I managed even less work that day than I normally do. Then there was the process of doing more edits, going through the proofs etc and getting that sent off. That was pretty cool - knowing I had to accept I was finally done with it. Then there’s the moment where you first see a printed copy. That’s really nuts. Then I finally got to see it in shops. Real, actual shops. Mad. Seeing it on a shelf alongside Camus and Capote (just by alphabetical chance) was hilarious to me. In Cold Blood and The Outsider are two of the greatest books of all time - as a teenager I used to go around telling everyone I knew that they had to read them (I was a lot of fun to be around). So to imagine someone walking into a bookshop, seeing Waves, In Cold Blood and The Outsider, and even for a second considering Waves as an alternative to those is downright absurd to me. If that sounds like I don’t believe in my writing, that’s not true at all, I put a lot of effort into my writing and I believe in what I’m doing, there’s just a whole established world of things out there that I know nothing about, and to think of my book sneaking in through the cracks is a very strange (and satisfying) idea. So, to really mark the book coming out, we had an actual launch night for it. That was really cool. My girlfriend and I have this policy where we try to mark anything we achieve by doing something to remember it. Otherwise your life can just sort of become this one big blur with no obvious full-stops outside of tragedies. I’d had to try and raise money for my friend Sophia - and that went even better than I’d hoped. We had Dean Lilleyman and James Giddings read. They’re both brilliant. Laura Hegarty played some magical songs. There was a bar and music. It was a really fun evening. I felt proud to know the sorts of people who turned up for it. It was published by the terrific Urbane Publications, who are continually putting out great stuff. How did the link up with them come about? I’m pretty sure it came about when they first published Billy and the Devil - Dean Lilleyman’s fantastic debut. I imagine most of your readers will be aware of it, but if not, then I definitely recommend it. I just thought the book was fantastic. I was curious about who had put it out. I read about Urbane online a little, saw some of the things Matthew (Urbane’s chief) had to say, saw a couple of other cool things I saw they were putting out, and decided to get in touch. When I see people asking for advice on how to get published, on reddit or wherever, I do always think the only worthwhile advice is look where things you love are coming from, and try there. And if you’re only reading Hunter Thompson books from forty years ago and think you deserve to be the new Hunter Thompson except that nobody is ‘brave’ enough to publish stuff like you’re doing, you’re wrong. Get better. Look wider. Take Paper and Ink as an example. You’ll quite often see kids who have just discovered Bukowski moaning that nobody is publishing anything like that anymore. As if Paper and Ink wouldn’t be all over someone like Bukowski. What some writers want right away is a name and a legacy and they’re not content to just be the weird outsider that most of the brilliant writers really were. Waves is set in the Outer Hebrides, on the Isle of Lewis, where I believe you lived your self at some stage. How autobiographical is the story? I lived on the Isle of Lewis for a couple of years. I loved it. I’ve been back since to visit some friends there, but that was just before the book came out so I’ve no sense of what most people there thought of it. Or if they’re even aware of it. As for the plot of Waves, it’s not really autobiographical at all. I didn’t go through that situation and that’s now how I ended up on Lewis. I moved up there already in a great relationship. But it was something I felt like I’d seen a lot of people go through - in one way or another. Having said that, everywhere in the novel is a real place I spent a lot of time. Most of the things that happen in the novel are things that happened to me, most of the things that Alex does are things that I have done, they’re just framed through a different lens in the novel. It was a fun experience because I had this character and this context I wanted to write from, and then I had this series of events and places I knew really well that I wanted to explore within that. It was just like shining my own truth through a prism or something to see how it came out. Before reading your novel I had only previously read your poetry, which I always enjoy, do you prefer one form to the other? I think the most fun I’ve had writing has probably been with novels. As in, the rare two or three times I remember actually feeling satisfied while writing. Occasionally, if you’ve been going long enough, you hit your stride and you know that, without even stopping to think, you’re mining something decent. I feel like I need to stick up for poetry more often though. If I hear someone say they don’t like poetry it’s like hearing them say they don’t like music. It’s just odd to me. I always try to assure them they just haven’t found the right poetry for them yet. Although obviously, people have a lot going on in their lives and getting into poetry is never going to be the priority. And I also totally get that the way poetry is first presented to you, both as a reader and writer (through school or wherever) is generally devastatingly lifeless, so it’s not a mystery to me how people end up feeling turned off poetry. When PUSH was selling poetry to the stands at Upton Park, I felt that was a really special flag in the ground for both poetry and literature. Poetry can go anywhere and poetry should go anywhere. Personally, I just love being able to write poems (by ‘being able’ I mean, nobody can stop me, not that I necessarily think I’m good yet) and frankly as an outlet I can’t even measure how good it’s been for me. The great thing about poetry is that one tiny spark of an idea can be enough for something brilliant to burst out. 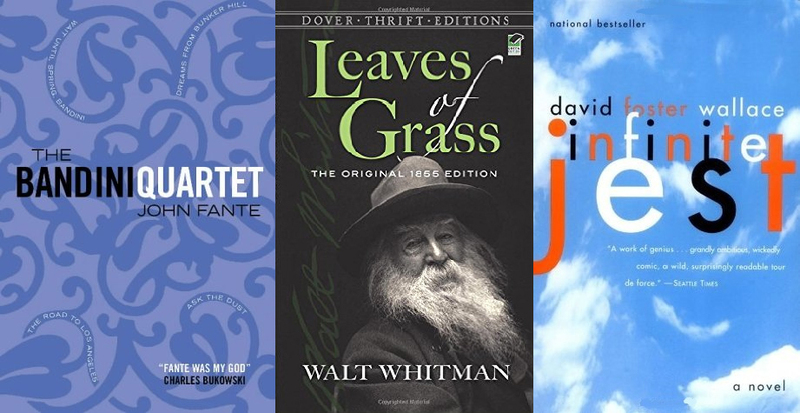 Which authors/poets have been the biggest influence/inspiration on your own writing? John Fante is the high watermark for me in terms of what I’d like to achieve with a novel. That’s what I’m shooting for and that’s probably what I’ll always be shooting for. Having said that, a couple of years ago I fell totally head over heels in love with Richard Brautigan. There was something in the way he uses language that helped open up an idea for my next novel - so I have to say at the moment that he’s definitely a huge inspiration. The next book will be very different to Waves and to be honest very different to anything I thought I’d be writing at this point. Charles Bukowski takes over basically an entire bookshelf in my house so it’d be pretty dishonest of me to not list him as a big one too. Reading him early on, aside from everything else I got from it, probably also helped me feel like I didn’t have to choose between poetry and novels. People love him for both. As an aside, while we’re on the subject, I feel it’s always good to get the word out there on this: Bukowski never wrote ‘Find what you love and let it kill you’. Stop putting that on your Instagram. Go buy his books and quote something he did write. Desert Island Books: If you were stranded on a desert island which three books would want with you? The books that mean the most to me are the books that make me get up out of bed and actually do something. I don’t know if on a desert island that would be a bit frustrating. There’s not all that much to do I imagine. Maybe I’d find something though. Maybe they’d spark some kind of creativity and I’d end up turning the island into a paradise through sheer inspiration and ingenuity. Rimbaud is something I go back to over and over. And Graham Robb’s biography of Rimbaud is a book I’ve read multiple times. I don’t know if they’d do me right on an island though. Likewise, there’s a book of Tom Waits interviews I take around with me quite a lot when I’m travelling. They’re hilarious and full of great music/book recommendations. The problem is, on a desert island, I wouldn’t be able to access those recommendations, so it’d just be a bit frustrating I reckon. I’ll try to think smart here. Right, to start with, John Fante - Bandini Quartet. I’m cheating I know, but it was published as one book so cut me some slack, I’m stranded on a desert island for christ’s sake. What next? Maybe something by Kapuscinski would make me feel like I was connected with the rest of the world. Or drive me mad because I’d never get to see it. Leaves of Grass maybe? That seems broad and engaging and full of life - an evergreen thing to read. Then maybe something like Infinite Jest? I’ve never gotten around to reading that and probably never will unless I’m stranded somewhere with it for a real long time. That’s what I’ll go for: Bandini Quartet. Leaves of Grass. Infinite Jest. Well. That’s not what I expected my answer to be at all. You know, I thought I’d always look forward to someone asking me this. Making music lists is my favourite thing in the world. I’ve no idea why. I don’t even show them to anyone. I just do it to pass time at work. Anyway, turns out this question is a total nightmare. Jeez. Guns N Roses - Appetite For Destruction. Tom Waits - Rain Dogs. Manic Street Preachers - The Holy Bible. There. I won’t think about it too much or I’ll hate myself for missing so many other things out. Can I do this twice? Is that cheating? Assuming it’s me as I am, today, sitting down for a chat, I’ll go with Tom Waits, Kathleen Hanna and Akala. Although I’m pretty sure they’d get sick of me pretty quickly as I’d keep asking them question after question. Right. Now, if I get to summon the dead I’d say Peter Cook and Arthur Rimbaud for sure...and maybe Bill Hicks? Get some quotes from him on the political landscape. Start tweeting them. That’d get me some followers. Yep. I’ll go with that. Sober and living: Tom Waits, Kathleen Hanna, Akala. Drunk and dead: Peter Cook, Arthur Rimbaud, Bill Hicks. What does the future hold of Jared A. Carnie? Any more novels in the pipeline? I’m working on this novel called Oranges. Well, I say I’m working on it. I’ve hit a brick wall the last few weeks. I can’t work out if it’s a creativity wall or a confidence wall. I’ve reached the end of the first draft of it and I keep thinking ‘is this a book?’. I need to stop worrying about what I think a book should be and start worrying about what I think Oranges should be. I’ve got a rough idea for a themed poetry collection too, based on when my girlfriend was very sick, but I’m unsure whether I’ll consciously see that through. I get a bit turned off by ‘concept’ poetry books. ‘This is a book about my relationship with my uncle’ - I don’t care. It always makes me assume that the book was forced, so I’m trying to avoid that. I’m also working on putting together some of my other poems for a pamphlet. I am writing every single day at the moment. For the first time in my life I’m making myself do it, just to keep working at the craft, even if there’s not a project it’s specifically going towards. I’m hoping that somehow it’ll mean by the end of 2017 I might’ve accidentally written my way into some interesting situations.